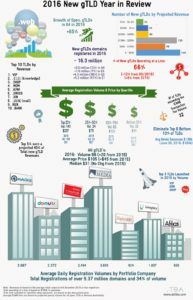 Registration of new Top Level Domains as of June 20, 2014, there are 290 delegated new gTLDs. 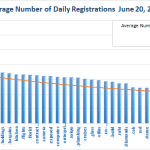 .XYZ has the highest average daily registration volume with 5,474 registrations per day. 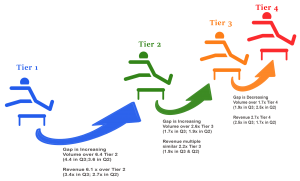 However, one might want to keep in mind that registrations and sales are sometimes different things see Domain Incite article on .xyz registrations here. 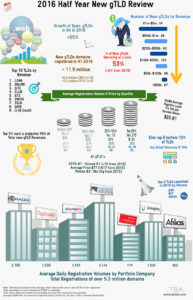 The average registration of the top half of registries is approximately 238. 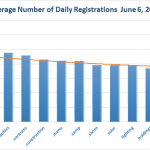 The average daily registrations for the bottom half of registries is 30.